There is an exciting Dominican Republic Business Opportunity – Brave Soles is one them. 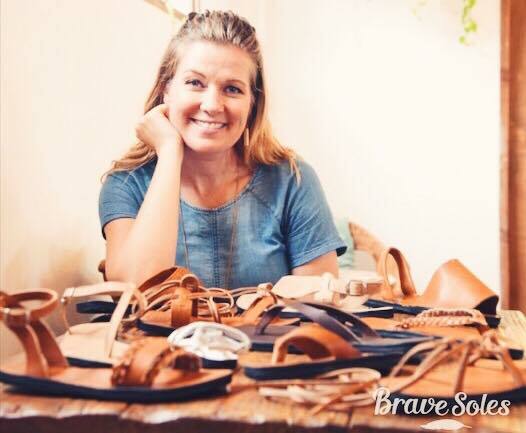 We recently sat down with the founder of Brave Soles, Christal Earle. We wanted to hear from her why the Dominican Republic is the perfect place for a social venture such as Brave Soles. What are Brave Soles about? We are handmade leather shoes and accessories that use recycled tires for the soles. We incorporate tires in unique and fashionable ways into all of our designs. We also have a foundation in our business model that is focused on helping landfill workers generate small enterprise through micro-financing and training in businesses focused on recycling and upcycling. You make it clear on the Brave Soles website that this is not a charity. What makes you different? I believe in charity. In fact, I co-founded one that is thriving today. I do believe charity can be the first step towards helping. However, the most powerful change happens when we recognize and act upon what we can begin to change for ourselves. This is why we are excited about the jobs and training that we are helping to create. Brave Soles is a Dominican Republic Business Opportunity with lots of success so far. Brave Soles are not a basic sandal, who designs the sandals? Where does the style inspiration come from? This has been the best and most fun part of what we do! 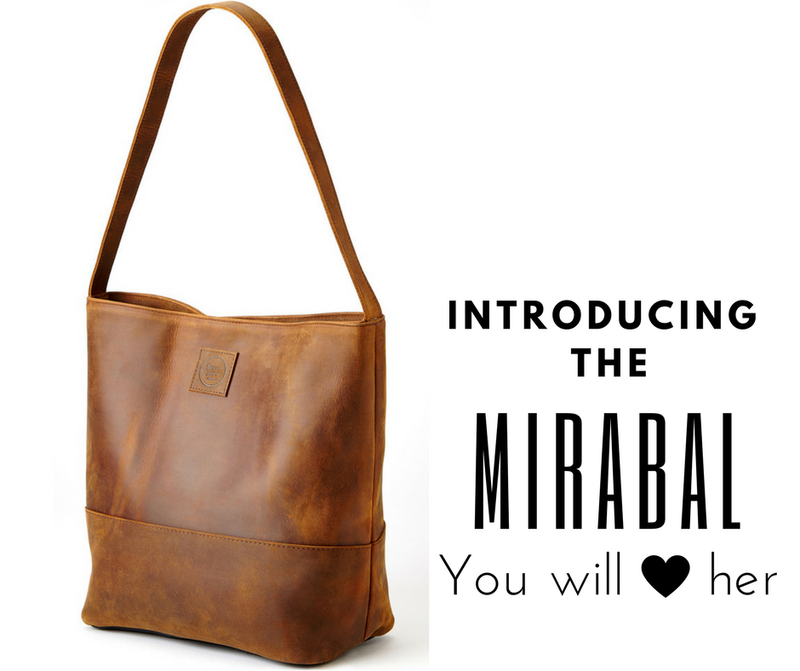 We work with an artisan in Puerto Plata who is highly skilled in leather designs. He and I work on each new design idea that I come to him with. We get our inspiration from a variety of places. However, the most inspiration comes from the idea of timeless classics with subtle updated twists, such as our gladiator sandals and our Spanish Avarcas. Why did you choose to work with artisans in the Dominican Republic? How is this project aiming to be the more sustainable long-term? We work on achieving sustainable change on two levels. First, we work with local artisans who are already skilled in their trade. They are highly qualified to create our shoes, they just need access to the market to generate a fair living wage. On the second level of our business model, we have a foundation, which is funded by our sales. That foundation is working with people from the garbage dumps to help sponsor them to go to adult education and technical skill training classes. 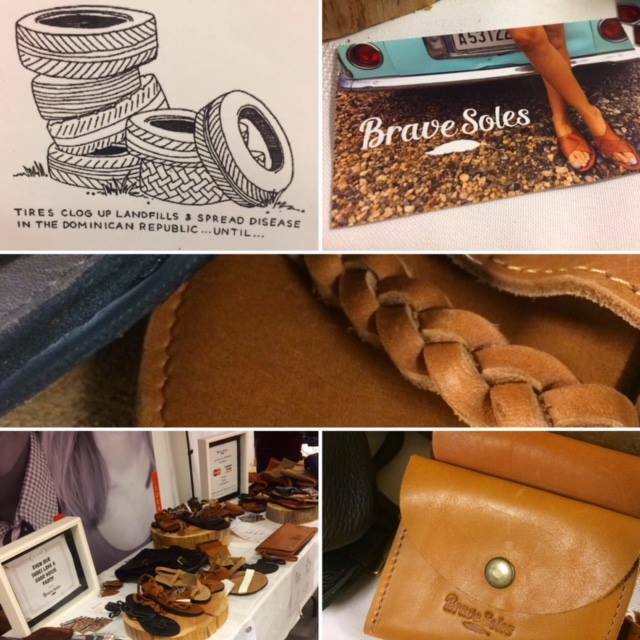 What do you want people to know about Brave Soles? We are proud of our brand and we are proud to be located here in the Dominican Republic. Every single pair of shoes are put together with love, dignity, and pride – and they have a beautiful story to tell. We exist to help the world see the possibilities of recycling, hope, and social enterprise differently. We love being here on the north coast. The Dominican Republic is a great place for businesses like ours because the community and country are very open and welcoming to startups. This is a great Dominican Republic business opportunity.